Enjoying nature and knowing our environment is one of the pleasant things. EVS is an enjoyable and interesting subject with direct experience and lot of activities. Sometime, EVS becomes a burden to some teachers due to the vast syllabus and many activities. It would be time saving and a richer learning experience when we integrate theme based lessons together. Our Looking Around textbook consists of six themes (family and friends, food, water, shelter, travel and things we make and do). Plants and animals are the thematic area of grade 3 first two lessons. The themes are interconnected in the way that both the lessons can be taken together with the basic understanding of plants and animals around us. Since, the theme is about plants and animals, it is always better to take students out of classroom to the natural setting with trees, plants, etc. There are certain activities framed to be carried out for this theme. The purpose is to make students experience and appreciate nature around them. Initially, they are engaged with their prior knowledge and exploration starts with some hands-on exercises. While combining both the lessons, children get an opportunity to learn plants and animals together. They can relate to them both and understand their inter-connectedness. Teachers can also complete the lessons on time. As EVS has more lessons, completing the portions have always been an issue. Lesson 1 and Lesson 2 can be combined together for class III in the month of June during the first fortnight. Activities and projects can be planned accordingly. Here are some activities and ideas for handling Poonam's day out and Plant Fairy lesson in grade 3. This is an outdoor activity where children observe nature. Take the children to a tree / a plant / ground / outside the classroom to observe it for some time. According to the availability in and around the school, choose a spot and plan what can be observed. After observation arrange for a classroom discussion. Discuss on what each child observed and their experience / feeling regarding what they had observed. The teacher can act as a facilitator. Arrange for post observation on the same. The children will come out with lot of information. The teacher can integrate all the information to know plants and animals around us. Children go home and observe nearby areas of their residence and share them in the classroom. They can prepare a list of animals and plants that they found in their locality. Sand paper cut outs of animals, birds, trees can be prepared and children can try to find them blind folded by only touching them. They can guess what it is. After every child took his /her turn, discuss how they felt when they touched the paper and how they found the right answer or what feature confused them. With these we can talk about nature of animals and birds like their structure, shape, size, etc. We can also use toys of animals, birds, trees for the same activity. Teacher can tell stories like ‘The fox and the crane, The Hare and the Tortoise’ to help children understand the nature of animals, their unique features by which they differ from one another, their animals, food habits etc. Teacher can sing the song “Old Mac Donald” to enjoy the sounds of animals and familiarize the children to the same. Audio-visual resources can also be used. Teacher writes names of animals / birds / trees in a 3*3 or 4*4 box. Each row has a blank box for the children to complete with the animal or bird of their choice. After completing the task, we start reading out one by one and add few more names to the list. As the names are read out, children who have written the same name on their box strike out that box. Whoever strikes out all the boxes shouts “BINGO” and wins the game. The teacher asks the students to collect some leaves of trees. 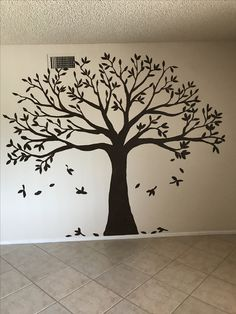 On the next day, the teacher draws the picture of the tree on the wall of the classroom and asks the students to paste the leaves on the wall where the picture of the tree was drawn. The children are asked to collect/draw some pictures of the animals (including birds, and insects) and are asked to paste them on the places where they think they will be (branches, stem etc.) with correspondence to the tree created in the previous activity. They can also draw bird nest, burrows, tree hole, etc., and place it on the trees. From this activity we can evaluate students' learning as to where the animals live on the trees and what do they do. Also learn about the importance of trees. The teacher draws numbers from 1 to 9 on the board and make the children draw some birds from that numbers. From this activity, the children develop their drawing skills and they learn some names of birds. Children are generally interested in making toys with clay and other objects. The teacher asks the students to bring some clay from their surroundings. Using the clay, the teacher teaches the students to make some animal models like elephant, cat, rat, rabbit, etc. Students really enjoy this activity and work together with lot of fun. Using the clay activity, the children perform sensory motor actions effectively in different contexts and they have the opportunity to express their creativity. The child discovers different forms of culture, learning areas and concepts.